This recipe is now over at my other blog Sidewalk Shoes – East Wing Martini. 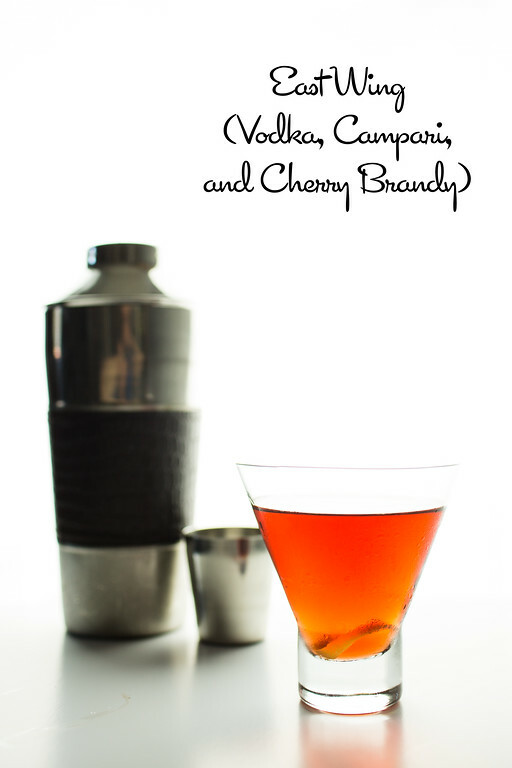 My bottle of Campari spends too much time just sitting on the shelf; this sounds like a good opportunity to use some! I’m in – where’s the next party?!!! 😀 Always enjoy a fun new drink – thanks for sharing with us at #TryaBiteTuesday – pinned & shared. Hope to see you back next week! Cheers!! Hi Pam, your photography is wonderful! delicious that is one word I can say, thanks for sharing with Hearth and soul blog hop, pinning and tweeting. Love the idea of working through 20 different martinis, Pam! Your East Wing Martini sounds just delicious – and what a pretty colour too! Pinned! Thank you for sharing this post with us at the Hearth and Soul hop. Looks delicious, love it, thanks for sharing with Hearth and soul blog hop. Pinning.